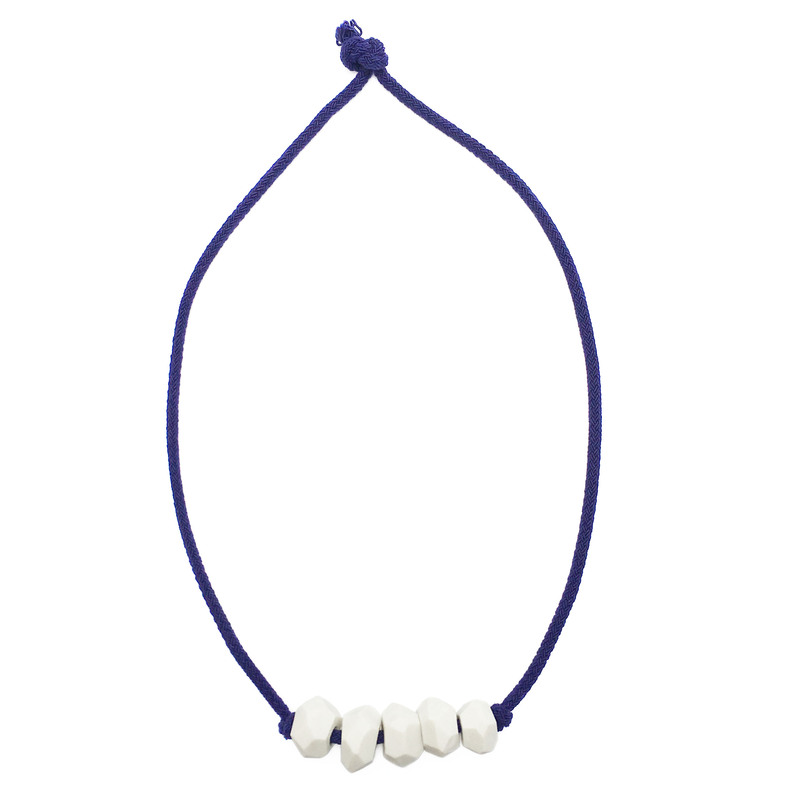 5 hand-crafted, faceted, porcelain beads with a matt glaze finish threaded on 5mm thick blue cotton cord, 310mm drop. Beads approximately 25mm, due to the hand-made nature the shape of the beads will vary. Made in Kent. 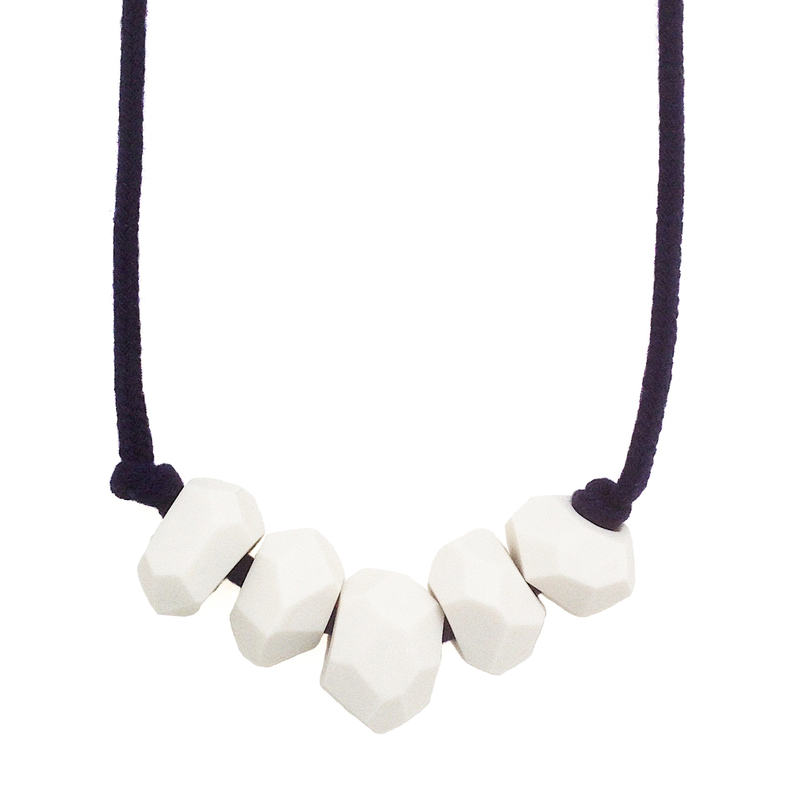 SKU: Vicky Hageman Necklace blue. Category: Jewellery.